Purple Yoga Trapeze® and Ceiling Hooks Bundle has been added successfully to your wishlist. I am very pleased with my Trapeze! The Yoga Trapeze has been extremely beneficial in the health and flexibility of my shoulders as I suffered a double dislocation in the past. The Trapeze has also helped with my low back pain that has been a chronic thing for a long time. And I get a better sense of well being as the inversions stretch my belly and organs and it just feels good. I am very pleased with my Trapeze, my Teacher Training was top notch, and I am very pleased with the quality and professionalism of Lucas and YogaBody! Thanks for your time. It had helped my back pain and I have enjoyed doing some yoga poses with ease. I no longer have back pain! I no longer have back pain! I suffered for years from a very bad knot on my left shoulder (regardless of how much yoga I practiced) after 1 week of the Yoga Trapeze, my knot was gone forever! 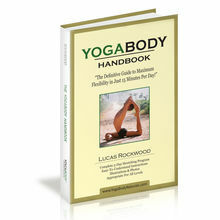 Not only the Yoga Body products have helped me, also listening to Lucas Radio Podcast has been invaluable. I have listened to it at various moments, listening to Lucas' voice has made me feel that I belong to Yoga Body family. I feel that Lucas cares about me and that he is doing everything in his power to uplift me and to inspire me to stay bend. I feel that Lucas gives his 100% to everything he does and that inspiration has brought my discipline to the next level. In conclusion, YES, the products of Yoga Body I have purchased have changed my life and all my friends life (I bought 10 Yoga Trapezes and I gave them to my friends in Chile and now Chile studios are using it) and the awesome toes are shaping my feet powerfully but more profoundly, listening to Lucas radio podcast has given me a sense of belonging and community where I know I have Lucas present in my life. It sounds strange, but his calming voice is so grounding that I sometimes listen to the podcast at night and I fall asleep relaxed. The Yoga Trapeze has help me with lower back pain and stangthen my core for posture. Im not an avid yogi just yet but I'm getting there. I even purchased a second trapeze for my boyfriend to help him with his back. I talk about it all the time. When I feel more confident with my yoga skills I would love to invest in myself by taking your teatcher course. The Yoga Trapeze has 'changed my life'. How you may ask, well, since I received and started using my Yoga Trapeze I have lost 22lbs and I FEEL better. I had neck surgery and my doctor approved me for yoga. I had just received my trapeze with the positions and asked him what I could do and if I could use it. He said yes and pointed at the 4 positions I can't do NOW (but we will revisit at my 6 month visit). Not only do I feel better, I feel stretched out and I am no longer compressed (spine wise). LOVE this product. Makes me wonder what else is out there in the yoga world. BTW…this was my first yoga experience, so you do not have to have ANY experience using this product or even doing yoga! Thanks Yoga Body!! The Yoga Trapeze gives me much more stability and security during my sessions. It allows me to go deeper into some of the more challenging poses without running the risk of injury- My most grateful support system! I should also add, I am a bi-lateral Menieres Disease patient. This disease attacks my vestibular organ (ability to balance) so the Yoga Trapeze has been a great help in my recovery this year :) Thanking you at YogaBody! Since taking the Yogabody trapeze course, I've been teaching with the trapeze in the studio 2 times a week because it feels so wonderfully good on my tight triathlete body. Thanks Lucas for the great experience and sharing your knowledge! Most definitely helped with my yoga and reigniting my passion for yoga. First found Lucas's podcast and loved that it covered such a wide range or interesting people and topics. It also introduced me to Ayurvdea a few years ago when he did a podcast on it. Bought the gravity yoga kit and found that made a big difference to my flexibility and understanding of what allows flexibilty. Yoga Trapeze has been great to increase my strength so not just flexible but strong now as well. When the time is right for me i hope to come to Barcelona to do a training and am presently doing my Yoga Teacher Training – 350 hours and will most definitely have yoga swing classes on offer in my yoga class offerings. Recently bought the prana wheel (and got yogatoes for free -love them) and still to experiment with the wheel. I love how down to earth and real Lucas is. Always tell all my yogi friends about YB, their products and podcast. I also have a laminated posters of the flow series which i use often as i do Ashtanga yoga and it is hard to get all the poses on chart to refer to on those days that my mind goes blank and i cant remember what comes next. It's helped me focus on core contraction and lengthening of my spine. In rehabilitative phase of injury recovery and it's helped with regaining good and proper posture for improved form. Great product and is very sturdy. I purchased the yoga trapeze and I am really enjoying it! Great product and is very sturdy. It allows me to get a better upper body workout and to fully bend into my stretches. I gain a lot strenght in pull motion i can do a chin up easily. ?? I can go deeper in backbends. For me backbends are my weekness and am slowly learn just to stay in ferris wheel as passive as possible and to learn to not forgot to bread in this pose. I also gain a lots of flexibility! I feel the trapeze is an extension of my floor practice and I love hanging upside down. It has helped me get back some of my flexibility and range of motion. It has also helped to reduce the amount of pain in my hips, knees and shoulders. It is gentle enough to not trigger an increase in pain from my fibromyalgia. I've been able to develop more hamstring flexibility as well as upper back flexibility with the Trapeze supportive hammock. I've used the whole unit for upper body strength development for inversions. The product is easy to use and durable. I love that I can take it anywhere with me. 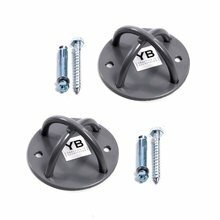 I recently also looked into buying the bamboo handstand blocks. Your informative video on the subject is helpful. I've had a tailbone injury and subsequent lower back issues over the last couple years and the Yoga Trapeze allows me to stretch both areas out without pain and helps to realign my spine. YES!! With my stretching. It is amazing. I tell everyone!